Illustrator: how to add bleed to a circular badge? I am trying to make a badge (75mm diameter) for my team in Illustrator. The question is, how do I add bleed to the final PDF or AI file in order to be sent for printing? For rectangular artwork you would open the "Document setup" panel via CTRL+ALT+P and find the "Bleed" option at the top. You have not shown us the actual artwork so we can only assume here, but you probably can send this to production with a rectangular bleed. Make sure your artboard size is 75x75mm, add 3mm bleed on each side and extend whatever background you have outside the central circle 3mm on each side. 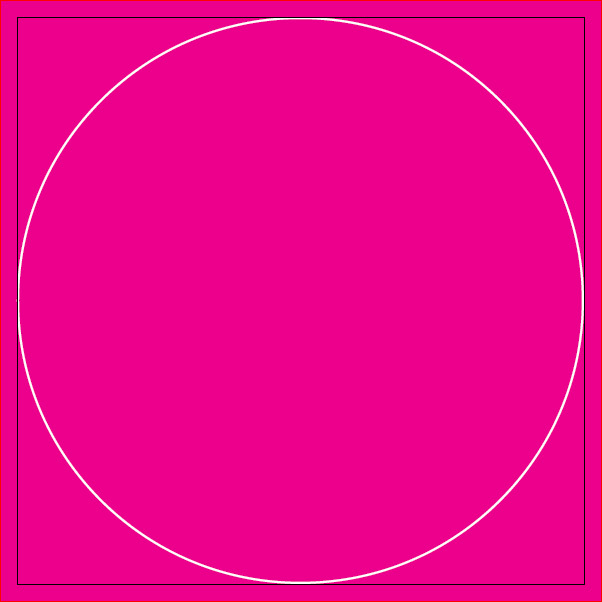 See the image below where the pink is your extended background and the white circle is your actual 75mm badge artwork. Better check this with your print provider first, since they will probably be very specific here. Not the answer you're looking for? Browse other questions tagged adobe-illustrator pdf print-production bleed or ask your own question. How much should be the bleed area for a banner? How to Save As Adobe PDF with CMYK Color Format in Illustrator?